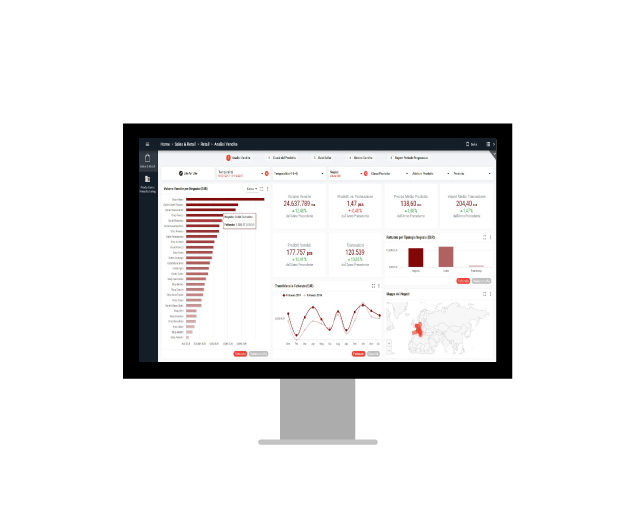 S-Insight is Stealth business intelligence module that helps Fashion and Luxury Retailers to exploit the entire company knowledge base, thus supporting strategic decision-making processes. A tool that features effective predictive models. Stealth DWH is the ideal basis for powering the front-end Business Intelligencetools provided by Dedagroup Stealth through the other two modules of S-Insight.It can be integrated with diverse data sources and it’s the core module ofStealth’s Enterprise Datawarehouse architecture. Stealth Analytics leverages in-memory technology and features a preconfiguredset of interactive and intuitive dashboards. That’s how Stealth Analytics enablesFashion and Luxury Retail brands to both dynamically explore business data andto get a detailed zoom into useful information with just one click. Stealth Business Intelligence is the Stealth platform designed to provide awider web reporting system, reliable and flexible, that helps Fashion andLuxury Retail brands to answer the specific information needs coming from eachcompany business area. S-Insight is a business tool that allows Fashion and Luxury Retail brands company to quickly get useful information to make decisions. It includes anomaly detection methods that allow to identify the set of variables causing them and to quickly solve issues.